monitor and assess the impact of interventions in relation to proposed outcomes. evaluate the impact and demonstrate the effectiveness of your actions. policies and resources for you to adapt and use in your setting. Understand how you might identify which pupils need support both as individuals and as groups within the school. Using data to set targets and plan activities. plan which activities to include and how long an intervention should run for. An overview of the steps you need to take to monitor the effectiveness of sessions as they take place. 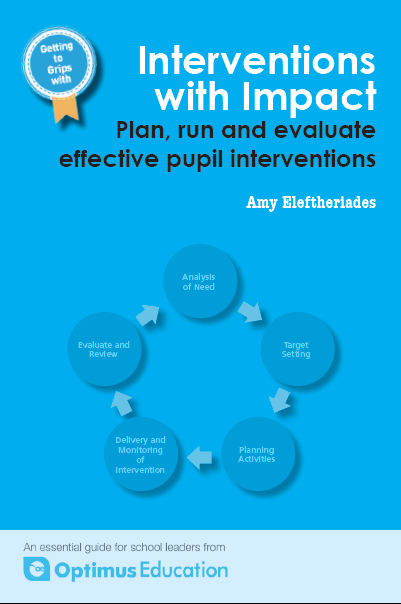 track the progress of the intervention to see if it needs to be adjusted for better impact. Knowing how to evaluate the session and plan what the pupils should go on to do after it has ended. provide information on progress and next steps for pupils. provide objective evidence to others, eg. parents, governors, inspectors etc. that your interventions are having a positive impact on progress. provide evidence of how pupil premium funding is being used, if appropriate.